Do you dream about a thick, green and beautiful lawn stretched all over your outdoor space? This is a piece of cake for our qualified gardeners. We are experienced in lawn mowing in Bethnal Green, E2 and we can take care of your green spaces all year round. We are dedicated to this job. You will see that we amazingly good at tending to lawns. We have professional garden tools and everything else we need to do things right. We promise that the end result will appeal to you. Make an appointment if you wish. Our expert gardeners know everything they should know about lawn mowing in Bethnal Green. They will transform your outdoor space into something you would love to marvel at each and every day. Does your green space look like a prairie? It probably is due to the fact that you don’t trim it as often as you should. We recommend you hire a gardener who will spend a good amount of time cutting the grass week in, week out. This should keep your lawn looking good at all times. 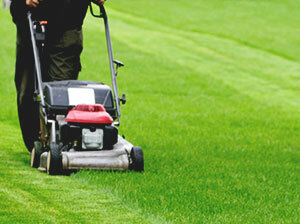 Take into consideration using our lawn mowing service in E2. All of our gardeners are fully acquainted with the mowing process. They use the right techniques, not to mention they have plenty of knowledge about the right height to cut different types of grass. Armed with that knowledge and guided by their skills, they will put your lawn in order and do their best to bring it back to life. They can also give you pointers on how to take better care of your lawn between mowing sessions. Our gardeners are the best find and we assure you that they will never let you down. If you are interested in giving your green space a professional touch, dial our contact number and speak to our representatives. Your needs will be attended to.